Do you remember what Cleveland Browns Football was like from 1996-98? Ignore the fact that many of you reading this may very well have not been alive yet (I was born in ‘97, not that you were wondering). It doesn’t matter if you’re six years old or sixty; no one remembers the Browns during those three years, because there were no Browns during those three years. As a reminder, Art Modell left for Baltimore with the original Browns franchise after the 1995 season, rechristening the team “The Ravens.” The announcement of the move came down during the middle of that ‘95 football campaign, seemingly out of nowhere. Modell hadn’t bothered publicly mentioning any of the steps that led to this decision as they occurred, instead sneaking behind all of Northeast Ohio’s back and secretly negotiating a deal with the City of Baltimore to give that town its first NFL team since the Colts crept out the back door while everyone was sleeping and made for Indianapolis following the 1983 season. In a strange turn of events, Baltimore had been either a victim and a co-conspirator in both the departure and arrival of an NFL franchise via shady business ethics. But while Baltimore football fans rejoiced over the arrival of the Ravens, Clevelanders felt betrayed and lost. During the NFL season, Sunday’s would hold a void in their eyes, a hole where something once cherished was now no more. Some tried watching the Ravens or Bengals or even Steelers, but it wasn’t the same. The fans sorely missed their Browns. Just like Andy Bernard, Browns Nation wished it could have known it were in the good old days before it had left them. Thankfully, an expansion team was in the works. In early 1996, plans for a new Browns organization to come to Cleveland emerged, with a “reactivation” date set for the 1999 season. And while the three years beforehand felt like torture, eventually, the Browns returned. Never again would fans take their football team for granted. But wait a second. I thought this article was supposed to be about the Cavaliers? This current period in Cavaliers history is extremely unique. Never before and never again will the team be in its present situation. Less than three years ago, the Cavs ended the 50-plus-year championship drought hanging over the City of Cleveland like a sign that read “National Punchline.” In a thrilling underdog story, the Cavs came back from a 3-1 series hole to beat the mighty 73-win Golden State Warriors in the NBA Finals. Even more impressive was the feat accomplished by the team’s heralded leader, face of the league and hometown hero LeBron James. James, who played for Cleveland from 2003-2010 before signing with the Miami Heat, returned to the Cavs in 2014 with a goal to bring that city and those fans a major sports championship for the first time since Jim Brown led Cleveland to the 1964 NFL title. At the time, James admitted the task wouldn’t be an easy one and it might not happen immediately. And echoing that sentiment, Cleveland failed to win the title in LeBron’s first year back, losing in the Finals to Golden State in six games. The next year, though, the stars aligned. The three-headed All-Star monster of James, Kyrie Irving and Kevin Love found itself back in the Finals in 2016 and unlike in 2015, when injuries to Love and Irving kept Cleveland from truly giving the Warriors its best shot, this time, all three were healthy. A game away from elimination heading into Game 5 of the series, the Cavaliers would have to win the next three in a row, including two on the road at the raucous Oracle Arena. 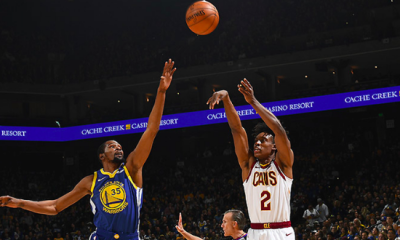 Somehow, the Cavs found a way to do just that, thanks in large part to 40-point performances from James and Irving and a little luck in the form of a one-game suspension to Warriors power forward Draymond Green and injury to center Andrew Bogut. The Cavs had toppled the mighty Warriors. 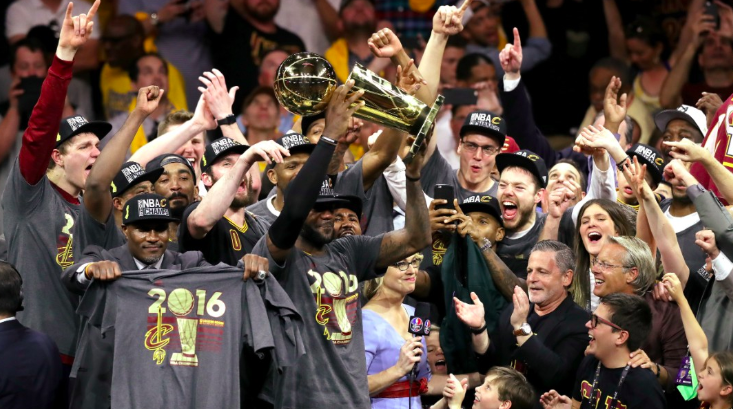 As tv play-by-play announcer Mike Breen said live on air, Cleveland was a City of Champions once again! LeBron James hoists the championship trophy in celebration!! 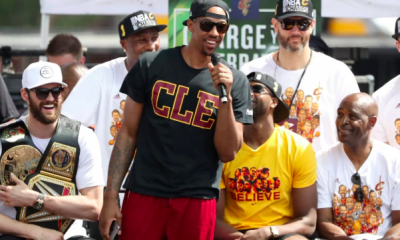 But with such a moment of pure exuberance felt by millions of Cavalier fans around the state and around the world (1.3 million showed up in downtown Cleveland for the championship parade), that kind of energy couldn’t be sustained forever. 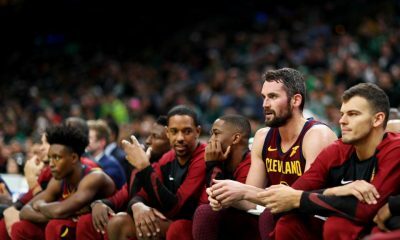 It was an unfortunate fact that no one wanted to think about at the time, but sooner or later, the honeymoon period would end, the “dynasty” would lose steam and the Cavaliers’ magical run with that core group of players would be over. Most of us just didn’t expect it to happen so quickly. In 2017, the Cavs once again coasted to the NBA Finals, clearly the strongest team in the lowly Eastern Conference. This time, though, they met a Golden State team that had bolstered its roster in a giant way in response to its defeat at the hands of the Cavaliers the year before. With the addition of Kevin Durant to a squad already claiming three potential Hall-of-Famers, the Warriors had drastically improved their chances of beating any and every other team in the league, including the Cavs. Cleveland, which mostly retained the same players from the year before, could not compete in the Finals. The Warriors won in five games. The offseason following that loss would see two key members of the Cavs organization depart: GM David Griffin and PG Kyrie Irving. These were two massive blows to Cleveland in terms of its ability to maintain success for a long period of time. 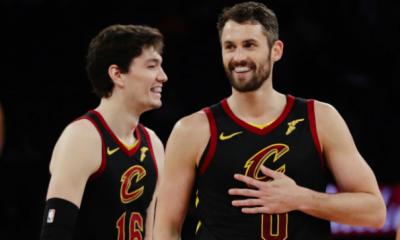 Without those two, whose contributions had been vital in clinching the 2016 championship, the Cavaliers entered the 2017-18 season on a ship with a sizeable leak at its center. The captain of the sinking ship, LeBron James, was given the responsibility of carrying a tremendous load on the court for the duration of the season and all the way through the playoffs. In the absence of Irving, his number two man, James was required to take matters into his own hands more often than he’d prefer. 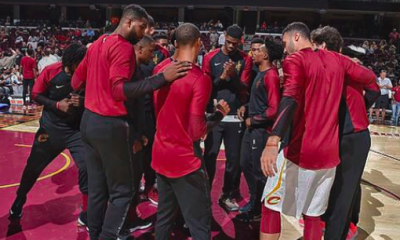 On a team that had lost approximately 75% of the players from its 2016 roster, James found a way to guide the Cavaliers from the fourth seed in the East all the way to the NBA Finals once again. However, Golden State was still the juggernaut it had been the year before. Cleveland, which already couldn’t measure up to the Durant Warriors with Kyrie, had no realistic chance of beating them without Kyrie. The Cavs were swept. Then that offseason, LeBron announced the decision that Cavs fans had been dreading–he’d be signing as a free agent with the Los Angeles Lakers. Just like that, Cleveland’s hopes of being a legitimate title contender in the near future had vanished. The Cavaliers were nothing without James; the last time he’d left, the following years without him were full of minimal talent on the court and minimal victories in the box scores. The captain had abandoned ship, and the vessel transporting Cavs fans’ dreams of more trips to the Finals with James and company came crashing to a halt. Some people, including myself, predicted that now that LeBron was gone, the Cavaliers wouldn’t fair quite as badly this time around compared to the first time he left. 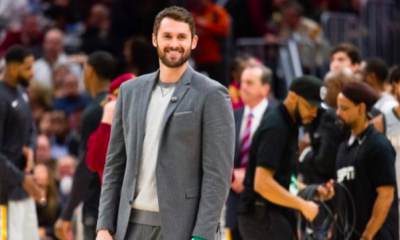 Kevin Love was still around, Tristan Thompson had helped the Cavs win that title in ‘16 and rookie Collin Sexton was in camp as well, taken in the draft with the pick Cleveland had obtained from Boston in the Irving deal and held onto for dear life to use as a contingency plan in the event of a James exodus from The Land. Sure, the Cavs wouldn’t go deep into the playoffs and might not make them at all. But maybe, we thought, just maybe, they had enough to sort-of contend for the eighth seed in the still-weak East. Well, we all learned of the direction in which this season would head very early into the 18-19 campaign. Through six games, the Cavs were winless, and Dan Gilbert had already had enough. 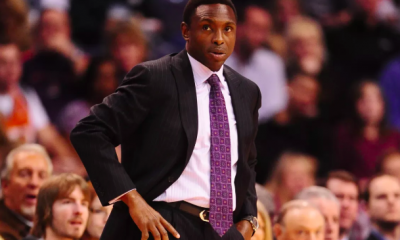 He pulled the trigger and fired head coach Tyronn Lue, the man who was there to hoist the trophy when Cleveland had won it all only a little over two years before. That was the unofficial nail in the coffin that signaled the end of the most prosperous era of Cavalier basketball in history. It hadn’t lasted nearly long enough, and had ended ugly. In that time when it became apparent what was happening, Cavs fans had a mixed reaction to the conclusion of the second LeBron Cavs dynasty. On the one hand, they would be forever grateful for the 2016 championship. At the same time though, human nature couldn’t help but cause fans to wonder what could have been. In its prime, that Cavs team could have beaten anyone. Anyone. Had everyone stayed together, could Cleveland have won more titles? Sadly, we’ll never be able to learn the answer to that question. Right now, all that fans are left to watch is a Cavaliers team that’s a shell of its former self. As of January 25, Cleveland has the worst record in the league at 9-40. Many of the best players on the team, such as Love, Thompson and Larry Nance Jr., have missed large portions of the season due to injury. Others, like Kyle Korver, have been shipped out of town, despite the team’s insistance prior to the season that this wasn’t a rebuild. 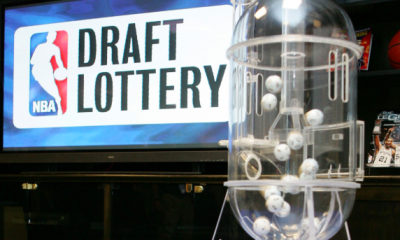 Clearly, the window for the Cavs to win now has slammed shut. It’s now time to think about the future. Love, Thompson and JR Smith could all be moved before the deadline in February in exchange for younger players who can better help the Cavs down the road. But as for this section of the season, when the Cavs haven’t yet brought in the youthful players but, due to injury, don’t have the familiar veterans at their disposal either, this is about as bad as it gets for an NBA franchise. The starting lineup for the last two games has been comprised of Alec Burks, Rodney Hood, Cedi Osman, Collin Sexton and Ante Zizic. That’s not exactly Murderer’s Row. The Cavaliers have lost seventeen of their last eighteen contests. To put it as bluntly as possible, the Cavs are terrible right now, hard to watch, and show zero signs of improving anytime soon. But this brings me back to my original point. It’s more important to support this Cavs team than any other that’s come before it. Coming off such a great run, the freefall to worst team in the NBA is an extremely tough pill to swallow. If the change is not handled correctly by everyone involved, if the transition from dominant to doormat is not a smooth one, the damage could become even worse. Dan Gilbert is not known as a good owner by any stretch of the imagination. He’s got ties to cities all over the country. If he feels the pulse of his wine and gold fanbase and judges that they are displeased with the present state of the Cavs, he may decide that the best course of action to take would be to do something drastic, like moving the franchise to another state. You laugh now, but in 1994, Browns fans would have had the same reaction to the idea that they could ever lose their team. Having a professional basketball team right up the road that plays in the best, most popular basketball league in the world is a privilege, not a right. The Cavs are no longer the power they recently were. That is a fact. But do you know what else is a fact? 41 times a season, you can drive to Cleveland, pay for a ticket to a Cavaliers game and witness pro athletes compete. 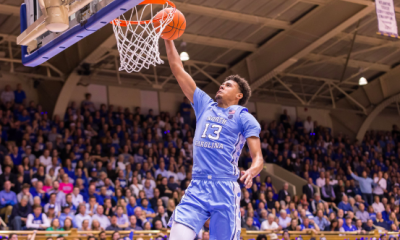 So what if the team plays poorly relative to the rest of the teams in its league? We have a team in the league! Don’t you get it?! Take a step back and think about how awesome that is! Over the decades since the Cavs arrived in the NBA, Northeast Ohioans have become desensitized to the fact that the team is always there. But that’s so incredible! When the Browns went 1-31 in the time spanning 2016 and 2017, the worst record over a 32-game stretch in franchise history, Browns fans stuck by their team. Even though there hasn’t been a lot to get excited about since the team came back, they stand with the Browns, because they know what it’s like not to have them. Cavs fans, take a lesson from your Cleveland sports neighbors. Many of you are both Cavs and Browns fans, so the lesson should be fairly easy to comprehend. The application of that lesson into your life is another matter. But if you stand with the Cavs in their time of need and support the young centerpiece of the franchise, Collin Sexton, like you supported Baker Mayfield with the Browns, something improbable could happen. If you continually back the Cavs and spread positivity concerning them, it could inspire them to want to play better for you in return. The road ahead is a long one for the Cavaliers. But if we all proceed forward with the right attitude and mindset, at the end of this road, there could be something well worth the wait.